We are leading exporter and supplier of a comprehensive assortment Standardized Herbal Extract. These products are Manufactured at our highly advanced processing unit, under the supervision of our experienced professionals. For strictly adhering to the international quality standards, our offered products are stringently tested by our quality controllers upon various parameters of quality and purity. Apart from this, the offered products are available at pocket-friendly prices to our valuable clients from every nook and corner of the globe. Backed by a team of highly skilled and experienced professionals, we are engaged in offering a wide array of Organic Shatavari that is hygienically processed at our ultra modern processing unit in compliance with set industrial food norms of quality. Our offered products are meticulously tested by our skilled professionals, stage after stage against various parameters to ensure the premium quality. *This extract is for bulk supplies to manufacturer and traders and is not sold in retail to consumers. Savesta provides consistent high quality Ginger extract with 6% and 10% gingerols content. 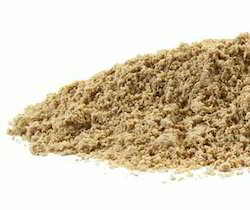 Ginger, the rhizome of Zingiber officinale, is one of the most widely used species of the ginger family (Zingiberaceae) and is a common condiment for various foods and beverages. Ginger has a long history of medicinal since many years in China and India for conditions such as headaches, nausea, rheumatism, and colds. Characterized in traditional Chinese medicine as spicy and hot, ginger is claimed to warm the body and treat cold extremities, improve a weak and tardy pulse, address a pale complexion, and strengthen the body after blood loss. Ginger contains a number of pungent constituents and active ingredients. It contains active gingerols, which can be converted to shogaols, zingerone, and paradol. Ginger isrecognized as drug of choice for nausea and vomiting. It has also been found useful in pregnancy related morning sickness. 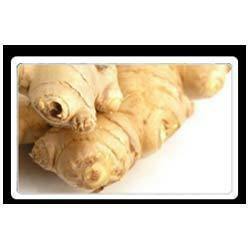 In rheumatoid arthritis and osteoarthritis ginger is used as a natural pain reliever and an anti-inflammatory agent. Ginger also exhibits positive effects in ulcers and cardiovascular disease. 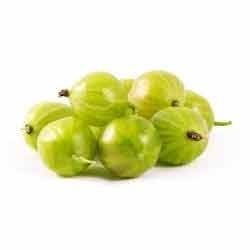 With our in-depth knowledge and experience of this industry, we are engaged in offering an excellent range of Organic Amla. Processed using optimum quality amla and advanced techniques in adherence to the universally accepted food standards. These are highly demanded in the market for their effectiveness and purity, available in air-tight packaging material. Offered products are rigorously tested on various quality parameters to ensure the entire range is free from production defect. Looking for Standardized Herbal Extract ?